Found this one on Flickr folks! It seems to be yet another iPhone clone with a touch of Nokia design and a pretty interesting interface. 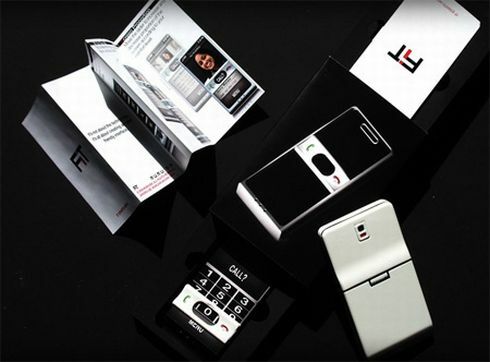 We’re dealing with a touchscreen handset called the Fit Cellphone, that allows the user to control it with the aid of gestures, like tilting the device in order to scroll through the contact list. An interesting feature of Fit Cellphone’s interface is the fact that you can increase or decrease the size of on-screen buttons, in order to suit your preferences. Other than that we don’t have much info on this so any idea will be welcome. Update: Adonis informs us that the Fit Wireless Cellphone was designed by Jongmu Lee and that it’s destined to suit the needs of elderly people. It comes with a central console that can be moved up/down in order to select and change the menus and settings. 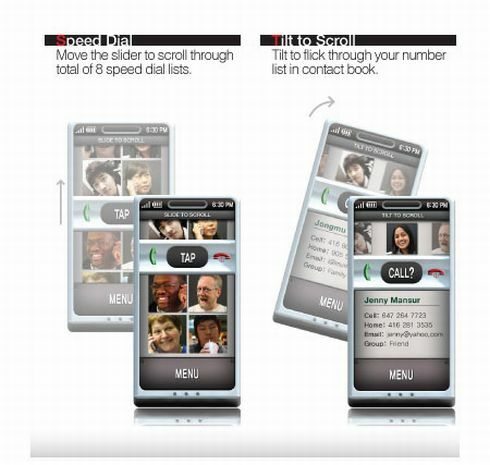 Also, the Fit Phone features speed dial and many other functions that will appeal to your grandparents.